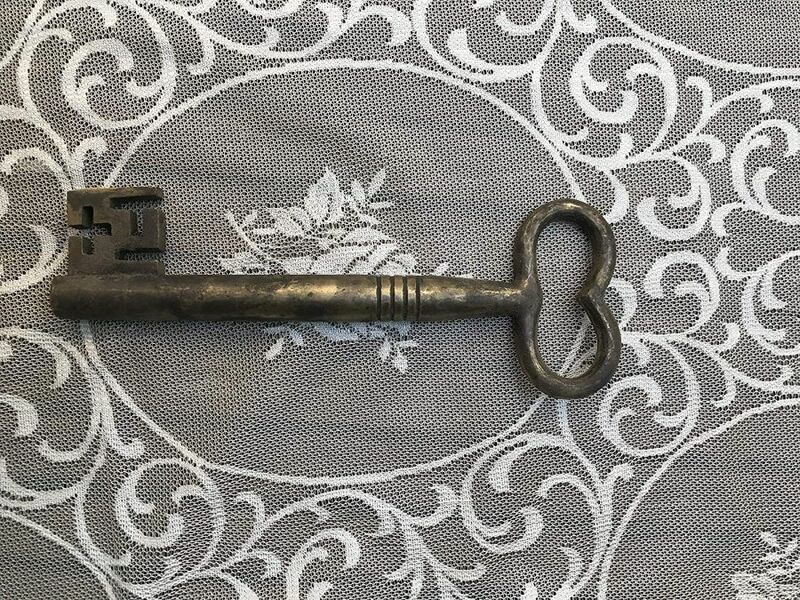 Keys have always been endowed with a certain sort of magic. 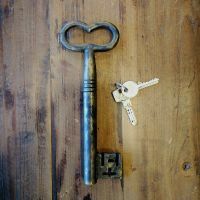 They have the power to reveal things that were unknown or obscured before. 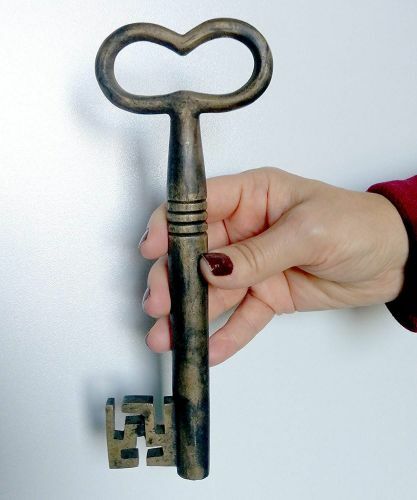 Even the word “key” means a tool that opens physical, intellectual, or spiritual barriers. 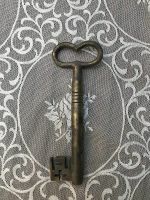 A key can give access to riches and treasure, or it might keep safe closely guarded secrets, as in the legend of Pandora’s Box. 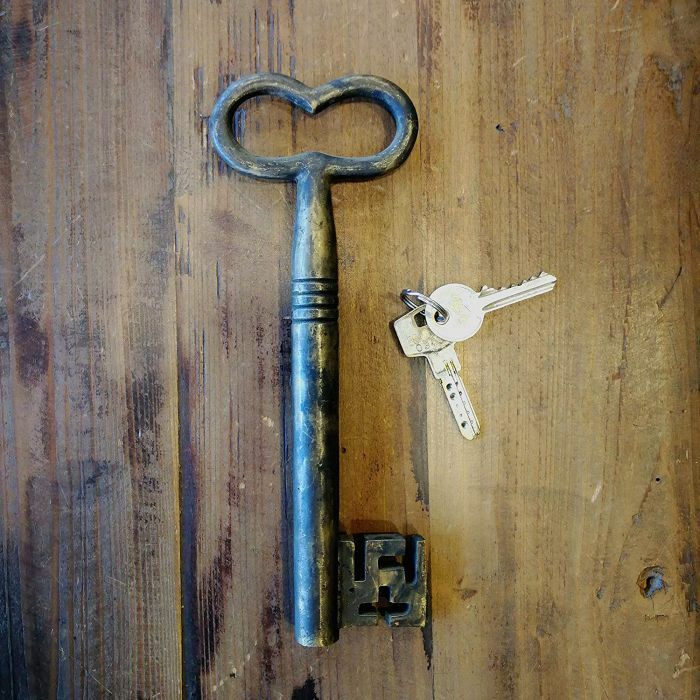 • Keys should never be put on a the table, as it leads to chaos and disagreement in the house. • Keys in the bed can help a woman in the process of childbirth. 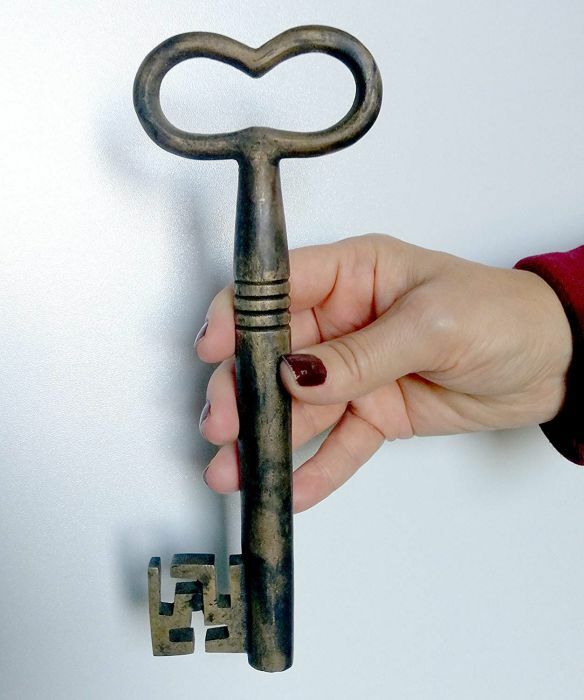 • Keys in the shape of crosses help cure boils. 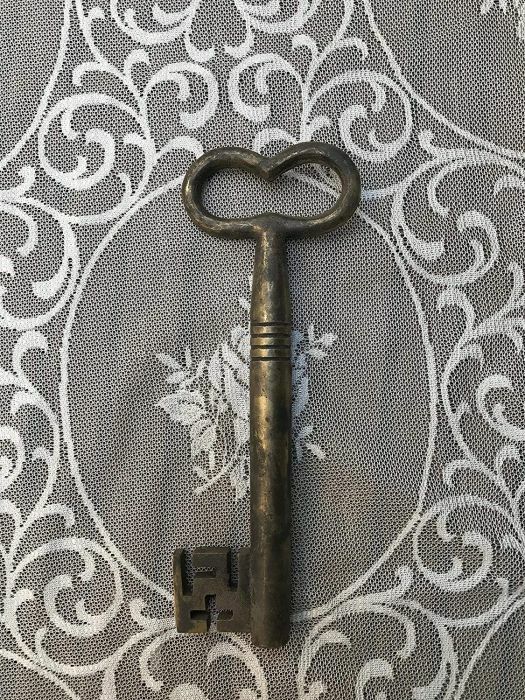 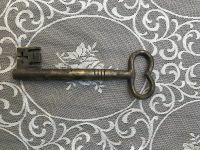 • Church keys usually weighty keys with a cross on the bit or bow are particularly powerful, able to cure whooping cough and calm unruly children.